Survivor Heroes Vs Healers Vs Hustlers: Howdy, Partners! Strong partnerships are starting to form across all the tribes. 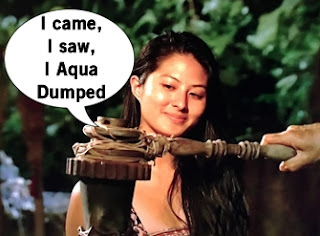 With the "core four" dead on arrival after the first Tribal Council, Chrissy uses her actuary skills to use data to select her perfect partner. I call it the Goldilocks method as Chrissy interviews everyone until she finds the ally that's just right: Ben. When Healer Joe finds a clue to the Hidden Immunity Idol carved into the tree, he pulls in Cole for the assist and together they find the Idol hidden by the well. Looks like Cole's got himself two partners in the game: Joe because of the idol, and Jessica because they're a budding showmance. Ryan and Devon seem to be the dominating secret pair of the Hustlers, it's Ali that's at the center of most partnerships. Week one she aligned with Patrick, but in the following days has formed a strong bond with fisherwoman Lauren and considers taking on Simone, the tribe's outsider. Ali's in an awesome spot except for one problem: her allies are annoyed by each other. What's a girl to do? The Hustlers initially lead the Immunity Challenge when retrieving puzzle pieces, but blow the lead and lose the challenge when they're unable to properly assemble the sign post puzzle before the other two tribes. Failing at the puzzle is another strike on Simone's small resume which includes cleaning a fish and finally pooping in the ocean. Simone knows she's the easiest target so tries to change her fate and put the focus on Patrick. Ali ponders her options and approaches Ryan to talk through voting scenarios which is Simone's unpredictability and Patrick's constant need for a babysitter. Tribal Council time! Ryan compares Tribal Council to a birthday party you're forced to attend for a kid you don't like. Lauren says it's a funeral which is probably more accurate. Ali explains that the vote isn't just about how the person benefits her game, but also the tribe. Simone urges the tribe to vote for someone they can trust rather than the old school method of challenge performance. 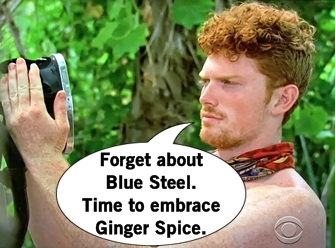 Patrick wants to keep the tribe strong, then flubs by saying he trusts "most" of the tribe. It's a real oopsy but Patrick can't help grimacing and laughing at himself the whole time. The Hustlers vote and decide that babysitting the prime target is the way to go, and they vote out Simone.